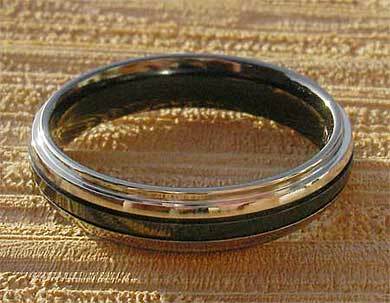 Men's Affordable Designer Wedding Ring : LOVE2HAVE in the UK! 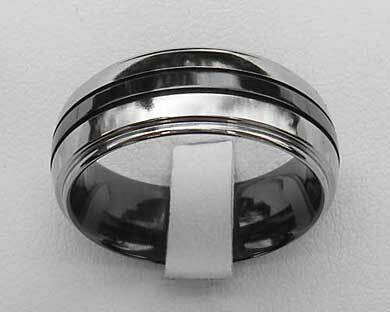 An affordable shoulder cut domed profile zirconium men's wedding ring with a central black stripe section flanked by two grooves and natural colour edges. 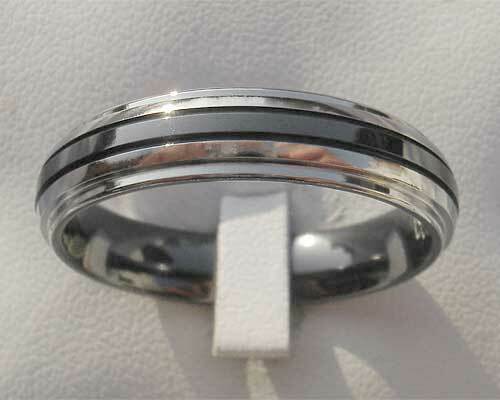 There is a ring width for everyone in this style ranging all the way from 6mm to the men's 12mm. This UK made zirconium ring is a favourite, twin finish, designer wedding ring for both men and women and our sales of these rings indicate that our customers are considering the value for money aspect these days when looking for rings. While we still see buoyant sales of rings, we know that many of our customer's budgets are quite tight and our zirconium rings offer exceptional quality at a price you can afford. Width(s) Available: 6mm - 12mm.